Olof Heilo obtained his PhD at the Institute for Byzantine and Modern Greek Studies in Vienna and is currently teaching history at the Center for Middle Eastern Studies in Lund. The emergence of Islam in the seventh century AD still polarises scholars who seek to separate religious truth from the historical reality with which it is associated. However, history and prophecy are not solely defined by positive evidence or apocalyptic truth, but by human subjects, who consider them to convey distinct messages and in turn make these messages meaningful to others. These messages are mutually interdependent, and analysed together provide new insights into history. 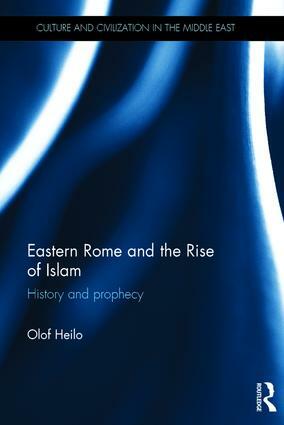 It is by way of this concept that Olof Heilo presents the decline of the Eastern Roman Empire as a key to understanding the rise of Islam ; two historical processes often perceived as distinct from one another. Eastern Rome and the Rise of Islam highlights significant convergences between Early Islam and the Late Ancient world. It suggests that Islam’s rise is a feature of a common process during which tensions between imperial ambitions and apocalyptic beliefs in Europe and the Middle East cut straight across today’s theological and political definitions. The conquests of Islam, the emergence of the caliphate, and the transformation of the Roman and Christian world are approached from both prophetic anticipations in the Ancient and Late Ancient world, and from the Medieval and Modern receptions of history. In the shadow of their narratives it becomes possible to trace the outline of a shared history of Christianity and Islam. The "Dark Ages" thus emerge not merely as a tale of sound and fury, but as an era of openness, diversity and unexpected possibilities. Approaching the rise of Islam as a historical phenomenon, this book opens new perspectives in the study of early religion and philosophy, as well as providing a valuable resource for students and scholars of Islamic Studies.